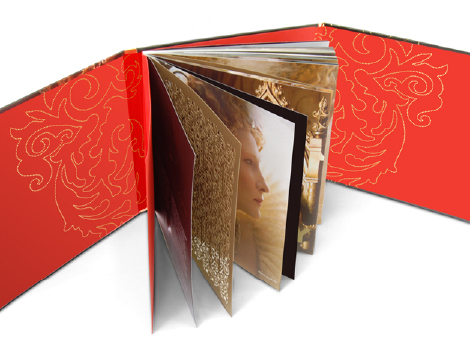 To accompany the release, Bow Wow was commissioned to design a bespoke limited edition book, providing unique insight into the making of the film and capturing the richness of the costumes and set design. 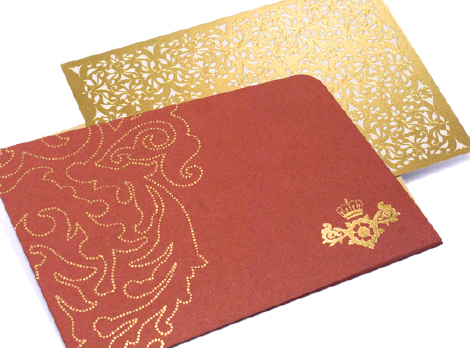 The gatefold casebound book is heavily decorated in gold, contrasting the use of high-gloss black. 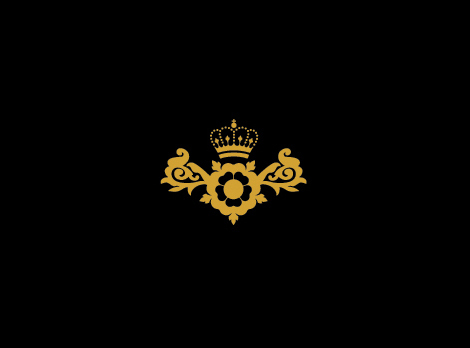 This opens to a blood red inner cover which is intricately decorated with more gold detailing to capture the opulence of England’s most dominant era. 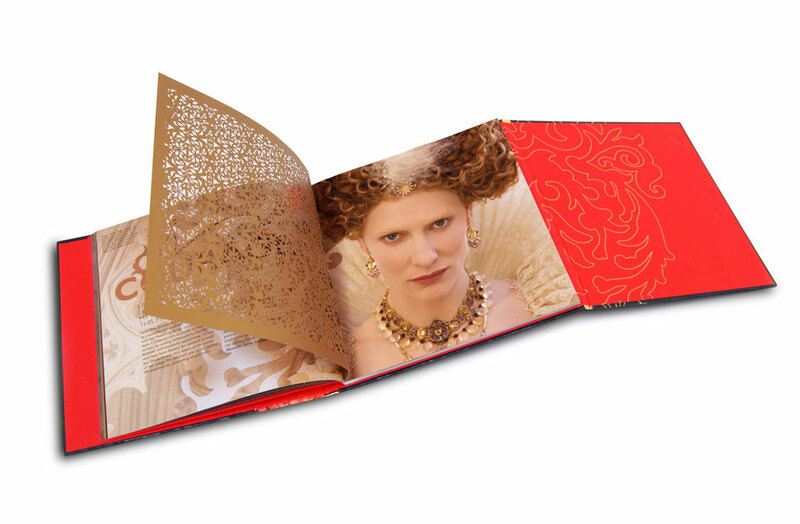 Inside the book, captures Queen Elizabeth’s contradicting personality - the Woman, the Warrior, the Queen. 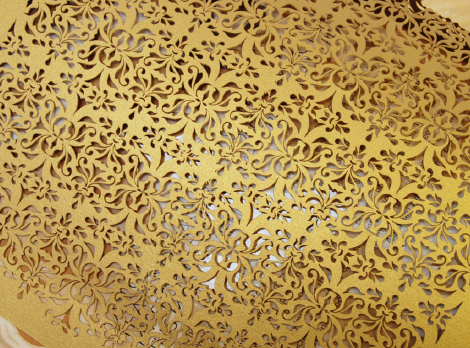 Laser-cut gold leaf is delicately inter-woven to capture her vulnerability, whilst the bold decorative elements inspired by the Elizabethan couture and typography captures her supremacy. “The Golden Age is the apogee of English creativity that came about as a result of the peace and tranquillity that Elizabeth’s reign brought. So you have to have something that looks magnificent. The look of this film is unlike any British or American film I’ve ever seen in its scale and lushness.” says Jonathan Cavendish, Producer. 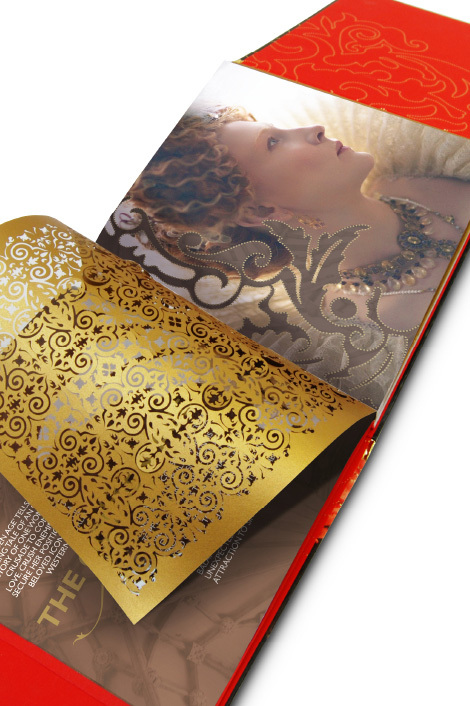 This lavish book is the result of an intensive collaboration between Universal Pictures and Bow Wow.